Flora’s Angels had such an amazing 2017! 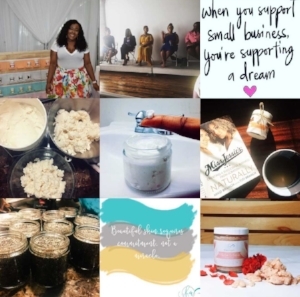 We officially made a year old in April, hosted our first annual Pampered with Purpose event and partnered with Big Brothers Big Sisters of Metropolitan Chicago, launched new scents, sponsored several events, and so much more. In 2018, our values still remain. However, we want to bring more to YOU, to our customers. We can't get over the success of the Pampered with Purpose event last Summer, so we are working hard to deliver more experiences that will educate, excite and inspire our customers to live their best lives in 2018. From events, to sponsorships and even social content, we want you to immerse yourself in the Flora's Angels brand and become an Angel on Earth. Exposure is the key to Flora's Angels' success in 2018. We are working to provide more opportunities to sample and purchase premium products. Wherever you are, that's where Flora's Angels will be. Catch us at the next local event, trade show, boutique or subscription box. Easy accessibility is our goal. We don’t want to be product pushers like other skincare companies. Flora’s Angels started from educating within and it can only flourish from educating others about skincare products on the market, ingredients that can be harmful and ingredients that will leave your skin flawless. As we continue to educate ourselves, we'll share our wealth of knowledge with customers! If you have recommendations, suggestions, additions or changes you'd like to see, simply let us know. We love feedback and strive to meet the needs of our target market. Send a Facebook message, email, contact us through the website or even give us a call! Never forget -- Flora's Angels was designed with YOU in mind.